This development came to light in August 2014, when London’s Tricycle Theater refused to host the UK Jewish Film Festival (UKJFF) while it was partially funded by the Israeli embassy — a response to the loss of life resulting from Israel’s bombardment of Gaza. Although the Tricycle offered to provide alternative funding to cover the cost of the contribution from the Israeli embassy, the UKJFF was unwilling to decline embassy sponsorship and withdrew its festival from the theater. The Tricycle came under sustained attack and was soon subject to an intervention from the then-secretary of state for culture, Sajid Javid. Together with the minister for culture and the digital economy, Ed Vaizey, Javid worked closely with the Israeli ambassador at the time, Daniel Taub, to pressure the Tricycle to withdraw its objections to Israeli embassy funds. Unable to stand fast against threats to its own funding, the small venue withdrew its objection and invited the UKJFF back on the same terms as the previous year. One example cited was the April 2014 decision by the Donmar Warehouse, a theater located in London’s West End, to censor a podcast that was part of a discussion series that accompanied Peter Gill’s production of “Versailles.” Entitled “Impossible Conversations,” the series featured leading political and cultural commentators exploring the legacy of World War I. Twenty-four hours prior to one of the discussions — “Mr. Balfour’s Letter to Lord Rothschild: How the Great War Remapped the World” — the Donmar Warehouse received a complaint from a funder claiming that the event was an attack on the state of Israel, an anti-Israel rally, and anti-Semitic. Threats to withdraw funding accompanied the complaint, as well as a pledge to raise grievances with publicly funded cultural institutions at which the event’s programmer worked or served as a trustee. Although the Donmar Warehouse held the discussion, it chose not to post the podcast online along with the other discussions that took place. In response to the government’s intervention, the university withdrew permission for the conference to be held on its property on health and safety grounds. The university claimed that the event could give rise to protests and that it did not have the resources to mitigate this risk, despite a statement from the police confirming they could ensure the security of the event. In April 2016, the conference was blocked for a second year when organizers were not able to pay the 24,000 ($29,000) the university required of them to cover the cost of hiring private security and erecting fencing. Britain’s increasing involvement in the cultural repression of Palestinians is also occurring through the denial of UK visas. Arts, culture, and education help create spaces in which difficult problems can be addressed creatively — especially when people from different backgrounds and contexts are brought together in them. This is why cultural and educational exchanges between Palestinian and international artists and academics have been blocked by Israel’s occupation regime for decades. Most recently, Israel banned UK academic Dr. Adam Hanieh from entering Israel or Palestine for 10 years after he attempted to travel to Birzeit University to deliver a series of lectures. Israel also refused entry to the UK-based Palestinian writer Ahmed Masoud to participate in the Palestinian Festival of Literature in the West Bank earlier this year. Lately, an increasing number of reports have also emerged regarding the denial of visas by UK authorities to Palestinian artists and academics seeking to come to Britain to participate in exhibitions, theater productions, speaking tours, and conferences. Hamde Abu Rahma, a Palestinian photojournalist, was twice denied a UK visa despite financial backing and support from a number of British MPs before he was finally granted permission to come to Scotland for this year’s Edinburgh Festival. Other Palestinian artists whose denied visas have been made public in recent years include Ali Abukhattab and Samah al-Sheikh, writers who were due to appear at the Institute of Contemporary Arts as part of the Shubbak festival, and Nabil al-Raee, artistic director of the Jenin Freedom Theater who was supposed to speak at a number of UK events. The UK visa system is also becoming more of an obstacle to developing academic partnerships with Palestinian universities. Because it is extremely difficult to obtain clear information about the visa process, institutions’ ability to work collaboratively is hindered. Palestinian academics and students alike are being denied entry. According to the British Council, this year for the first time five out of ten of their sponsored Palestinian students were refused visas. – Create a comprehensive database documenting cases of denied British visas for Palestinians over the past five years to put pressure on the British authorities to treat Palestinians no differently from Israelis when they apply to come to the UK. The views expressed in this article are the authors’ and do not necessarily reflect Ma’an News Agency’s and Informed Comment’s editorial policy. 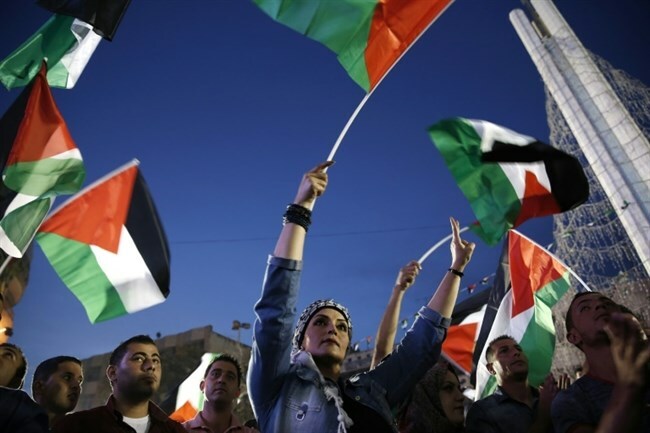 In this Al-Shabaka policy brief, Aimee Shalan analyzes the legacy of the Balfour Declaration on Palestinian-British relations in the occupied Palestinian territory and the United Kingdom, particularly regarding the repressing of Palestinian cultural voices. The first part of this brief was published on Friday.